Theresa May warned leaders including Macron and Merkel that the Brexit deal they struck is deal unless they made concessions, according to a person familiar cited by Bloomberg. A 15-minute meeting also included Dutch premier Rutte and Donald Tusk. May told them that the Irish border backstop needed to be fixed and include a firm end date. She said the DUP and members of her party will never support the current deal. The current structure of the deal gives the EU a de facto veto over leaving. May asked for a 12-month deadline on ending the backstop but it was shot down. 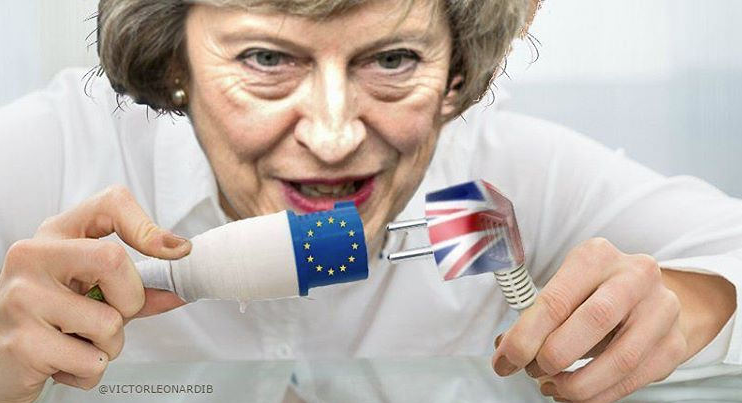 The source said May could put the deal to parliament in a vote and allow it to be shot down.